Our Board brings considerable experience in corporate governance and strategic leadership across the resources, utilities and industrial sectors. David has over 21 years' experience in the construction and development industry, having started his career at Diona while completing his high school studies. 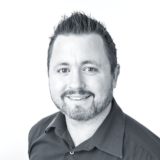 David holds a Bachelor of Civil and Environmental Engineering and a Diploma in Engineering Practice from the University of Technology, Sydney and was awarded the National Engineering Excellence Award in 2005 by Engineers Australia. David is an advocate for alternative cancer treatment research, previously helping to raise over $500,000 for the Chris O’Brien Lifehouse and the Cancer Council. David is also a champion for breaking down the stigma around mental health, and advocates for batyr – a mental health charity. To support batyr’s work Calibre and Diona are aiming to raise $1m by 2020 to support a future free of stigma around mental illness. 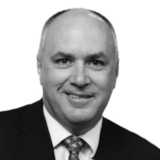 Prior to joining Calibre Peter held a number of senior and exective roles with Transfield Services including operations in their Australian, Canadian and US offices. Prior to his appointment as National Operations Lead, John was State Manager for Queensland. 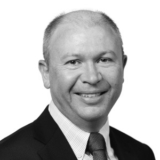 During his career with Diona he has delivered projects in New South Wales, Victoria, South Australia and Queensland. Craig brings to Calibre more than 25 years’ financial, advisory and commercial experience in the professional services, resource and energy industries across Australia, Asia, Africa, North and South America. 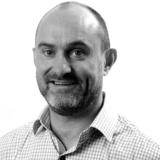 Craig has worked extensively on the delivery of complex projects, large scale resource and energy mergers and acquisitions, as well as led various governance, risk management, organisational transformational and change programs. Craig has lived and travelled extensively around the world and enjoys sharing with his family the experiences that new cultures, cuisines and points of interest provide. 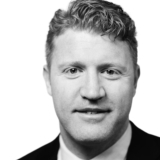 Prior to joining Calibre, Craig was previously Chief Financial Officer at Ausenco and has held various senior finance and commercial roles with Energy Developments, NRG Energy, Billiton plc and BHP Ltd.
Charlie ensures the family culture of the business and its values are at the core of all operations and decisions. During his over 25 year tenure with Diona, Charlie has played a crucial role in building and retaining long-term valued relationships with key clients such as Sydney Water, Transgrid, Ausgrid, QUU, APA and Energex.